We end the school year with a private viewing of the class made iMovie - Along the Oregon Trail. It was an exciting day for the children and their pride & sense of accomplishment was evident on every face. What a sweet and talented group of children who worked so hard to make this a day I hope we all remember. Walking the red carpet to accept their award. Here is the script read aloud. Listen nightly for one week in preparation to memorizing the lines. We have spent the last two months studying the life on the Oregon Trail . We listened to a wonderful chapter book titled Ranger in Time Rescue on the Oregon Trail along with several other books with wonderful visuals, watched several documentaries, listened to music etc. 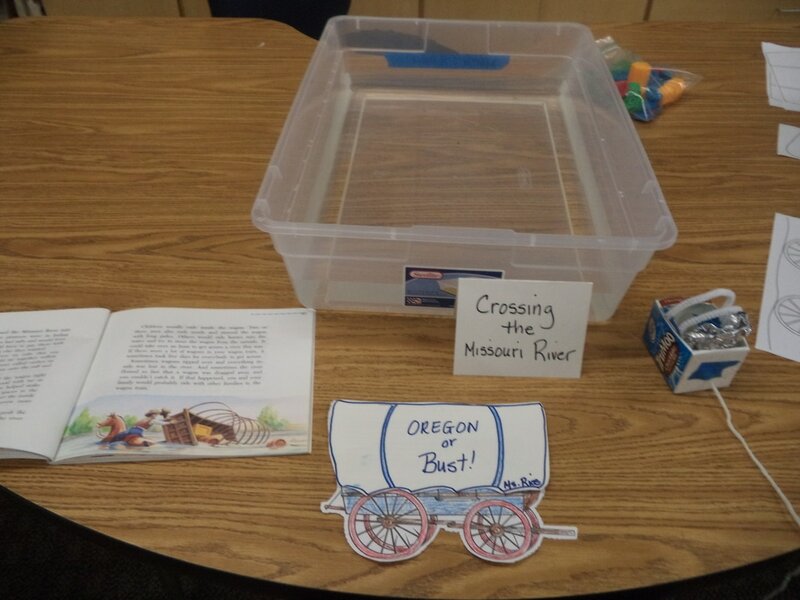 We ended our unit with a few fun projects to demonstrate our understanding of the geography by narrating our personal adventure using a map and stopping along several key locations, trying to ford the Missouri River in a wagon full or personal belongings and supplies and will end the year acting out the journey in a reader's theatre adapted to a play. The children made their wagon with a specific set of supplies. On a previous day they were asked to pick supplies from a list they felt they needed to take on their trip west. These items were weighted and the corresponding grams were placed in their 'wagons'. We had some heavy wagons! Many wagons lost their pianos, kitchen tables and chairs etc. down that deep fast flowing river. We kick off our Social Studies class with US geography. This will be our 1st month unit. We listened to an excellent book and watched the movie called Scrambled States. 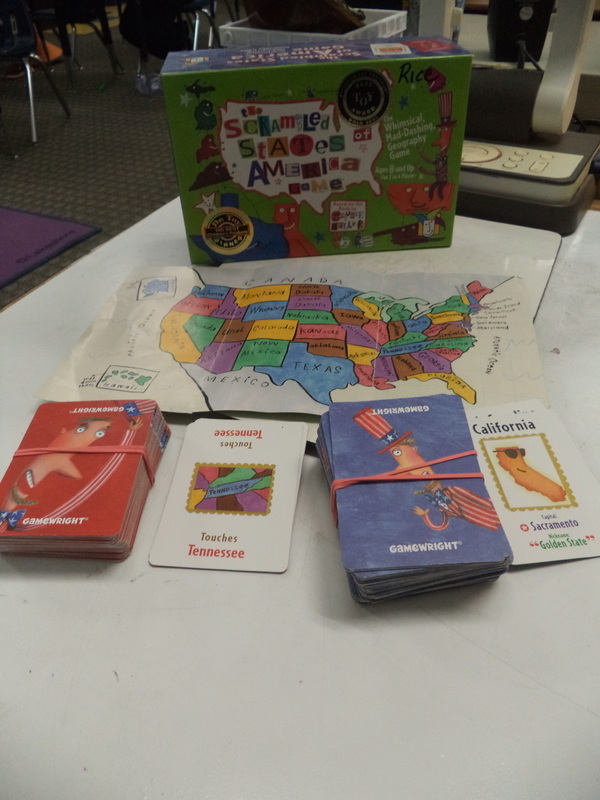 We played Toss the State, Scrambled States Card game and began coloring our state book. 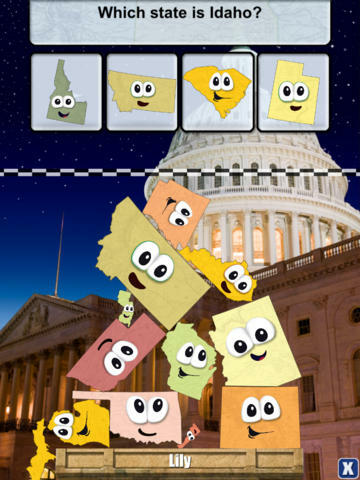 But their all time favorite was a wonderful app called Stack the States! They are getting better than me learning the states and capitals! For more information on our program please contact me at ricepirates15@gmail.com. Thank you for stopping by!